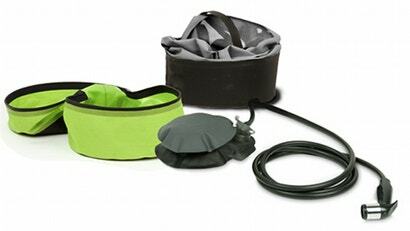 Nemo Equipment's Helio Pressure Shower just might be the gear that finally gets me to go camping. This small, freestanding pressure-pump shower derives its heat from the sun and travels light at about 900g all packed up. Helio's foot pump and spray nozzle (which comes at the end of a 2m hose) provide a steady stream of pressurised water for your warm outdoor rinse-off — which, if its 11-litre bag is full, will last for between five and seven minutes. The Helio Pressure Shower will be available this June.